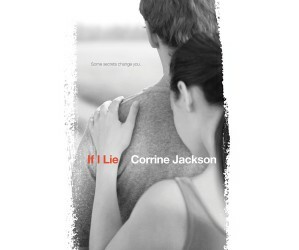 Last week was a big week for Cory Jackson with the release of IF I LIE. So many great books coming out this fall! Quinn’s done the unthinkable: she kissed a guy who is not Carey, her boyfriend. And she got caught. Shunned by everyone she knows, Quinn loses her friends, her reputation, and her identity. Because Carey’s not just any guy—he’s a Marine who’s serving overseas, and beloved by everyone in their small, military town. But Quinn didn’t cheat. She could clear her name, but that would mean revealing secrets she’s vowed to keep—secrets that aren’t hers to share. So she stays silent, and waits for Carey to come home. Then Carey goes MIA, and Quinn must decide how far she’ll go to protect her boyfriend…and her promise. Check out Cory’s website here. Over at the YA Rebels we all talked about a time when we lied or withheld the truth in celebration of the release of IF I LIE. This was actually my last vlog with the YA Rebels as a guest poster. I had a lot of fun vlogging with them! You can check out my vlog here where I talk about how I lie every day. You and me both Christina. I hate math too! At least I’ve never had to teach it, what a trooper you are. Ha, I couldn’t stand math in school. But good for you for trying to make it fun! I just can’t relate – I was such a mathlete…NOT! Yeah, there’s a lie for you. Cory’s book sounds really good. I’ll be on the lookout for it. IF I LIE is on my tbr list. I hope to get to it soon. Thanks Akoss! That is really sweet of you.